We are a locally owned and operated company that has been in business since 1967. Our mission is to provide excellent super great conc. products coupled with superior customer service. Camden has four locations. Downtown Louisville on Frankfort Avenue, Wysong Lane in Crestwood, Cane Run Road in Pleasure Ridge Park, and in Bullitt County on Highway 61 in Sheperdsville. Allied has a fleet of 52 front discharge and 4 rear discharge concrete mixer trucks. 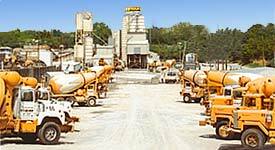 We have a centrally located dispatch office with fully automated batch plants to help meet your needs as well as a pumping division for getting concrete poured in those hard to reach places. Allied also is a partner in Bethlehem Sand and Gravel LLC which produces several types and gradations of sand and gravel. Let us help you with your industrial, commercial and residential needs. 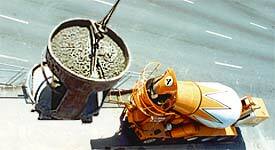 Allied Ready-Mix Co., Inc. has grown into a thriving operation thanks to a lot of dedication and hard work from its founder and visionary Harold Allen. 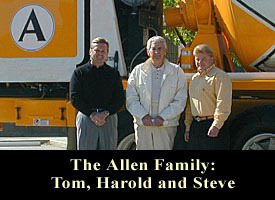 Harold Allen founded the company in 1967 keeping both growth and longevity in mind the whole time. 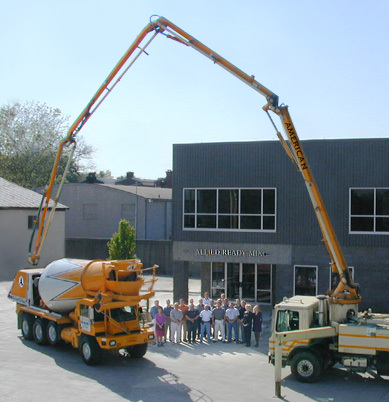 Allied started out as a small concrete company with just eight mixer trucks and two small plants, located on Jennings Lane and River Road. Since 1967, Allied has amassed into a company with five plants, four locations, a central dispatch office, 56 mixer trucks, a pumping division and now a sand and gravel company. the company today serving as President of the Board.